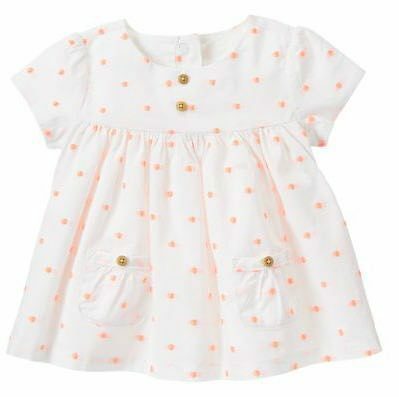 Super Sweet Swiss Dot Top Only $9.99! You are here: Home / Great Deals / Super Sweet Swiss Dot Top Only $9.99! Swiss Dot Top Only $9.99! Found this Swiss Dot Top for only $9.99! The regular price on this top is $22.95! The allover embroidered dots and contrast buttons really make this top extra special! Lots of Items on Sale for $14.99 and Under at Gymboree! Get FREE Shipping on orders over $75! No code needed! AND, with every purchase through 4/5, you get a 20% off coupon!